If you’re going through the effort to blend a smoothie or make a juice, it’s good to know which option produces the best results for your body, and the answer might surprise you. But which is best? Juicing or Blending? Releases the enzymes and nutrients so they are quickly and easily absorbed. Drinking green juices (from cucumbers, leafy greens, celery, and other low-sugar vegetables) is a quick way to alkalize your body. Juices are easy for your body to digest. Juicing can cleanse your body, helping to heal the gut and brighten your complexion. There are a few types of juicers out there, including masticating and centrifugal. 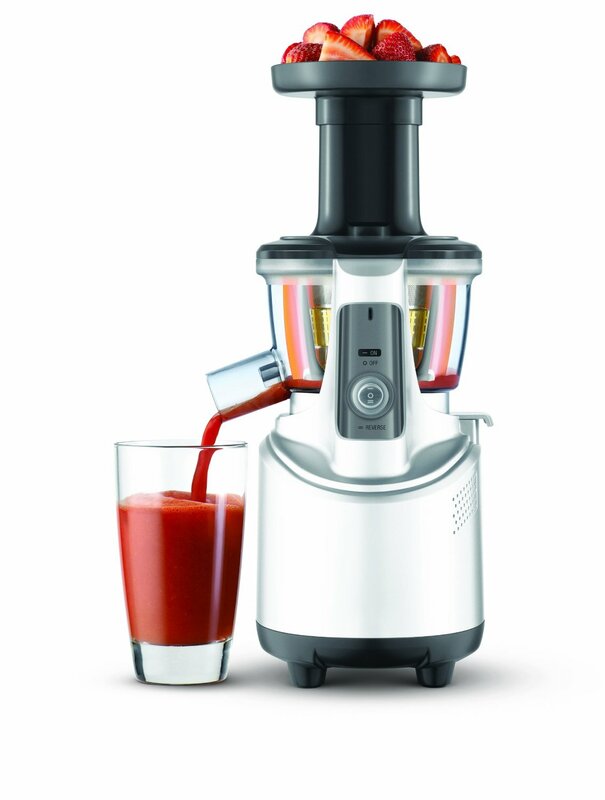 Check out our list of top 10 juicers to help you choose which one fits your needs. You must drink the juice right away to get the full benefits. If you do want to save some for later, store it in a tightly covered glass jar in the refrigerator. Watch the sugar content of the fruits and vegetables you juice. Since juicing removes the fiber, sugars are released and quickly absorbed into the blood stream. Avoid spiking your blood sugar levels by juicing low-sugar vegetables and fruits, such as cucumbers, celery, leafy greens, lemons, ginger, and maybe a small piece of apple or a few grapes if you need a sweetener. Smoothies are a great way to sneak some extra veggies to your children (and yourself). You get the whole fruit and vegetable, but the blender does the work of masticating. This makes it easier to digest. The fiber from whole fruits and vegetables helps keep the sugar reigned in. Just watch that you don’t go overboard with high-sugar fruit. Fruits help to mask the flavor of leafy greens such as spinach. It’s easy to go overboard with the fruits, and before you know it, the sugar content is high. Stick with low-sugar fruits such as berries. Whichever gets you drinking your greens! However, there’s more to it than that. A juice lets the powerful enzymes and nutrients of your food to be absorbed fast. That’s a problem if you’re juicing high sugary fruits. But the same can hold for smoothies which are often loaded with more sugary goodies like berries…frozen berries, yum. Try both, alternating the produce for variety. Just watch the sugar content of your fruits! Also take into consideration if you have health issues that you want to help. Juicing can be very alkalizing and helpful to a sick body. The scale tips in favor of juicing because (depending on how you juice), you get much more of the nutrients out of it, and they can tend to be less sugary (again depending on how you juice). So, if you’re making the decision between a juicer and a blender, we recommend getting a juicer as the healthier option. You can check out our top juicer review here.